Beginner Lace Knitting Starts Thursday! If you’ve got your knit and purl down pat and are ready for your next challenge, this class is for you! 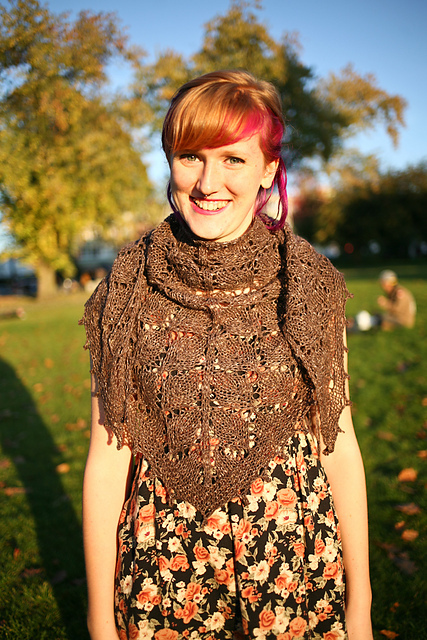 Over this four week class, our in-house teacher Hilary will walk you through the The Elder Tree Shawl by Sylvia Bo Bilvia; skills which you can then apply to socks, sweaters and any knit that includes a lace pattern in writting or using a chart! 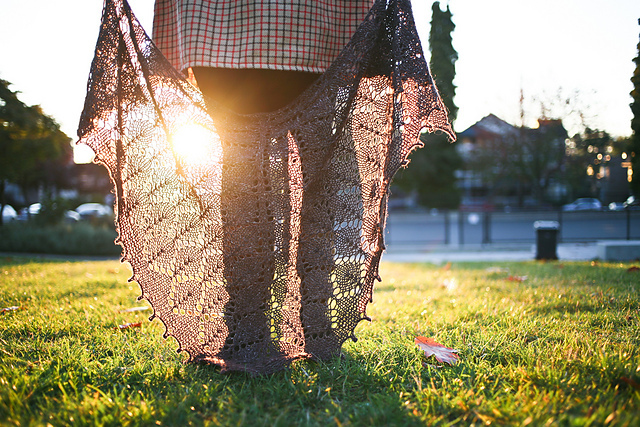 The Elder Tree Shawl by Sylvia Bo Bilvia. This gorgeous shawl pattern will be included in the class registration, and you can pick a yarn that makes your heart skip a beat. By the end of the four classes you can create an accessory that can dress up any wedding attire, or work just as well with a pair of jeans! The Elder Shawl on our very own Nicola who is currently doing sheep research in the Shetland Islands. To register, give the shop a call at (604) 255-2577 or drop in during regular store hours. The class starts Thursday June 4th from 6:00-7:30 and continues through all Thursdays in June.